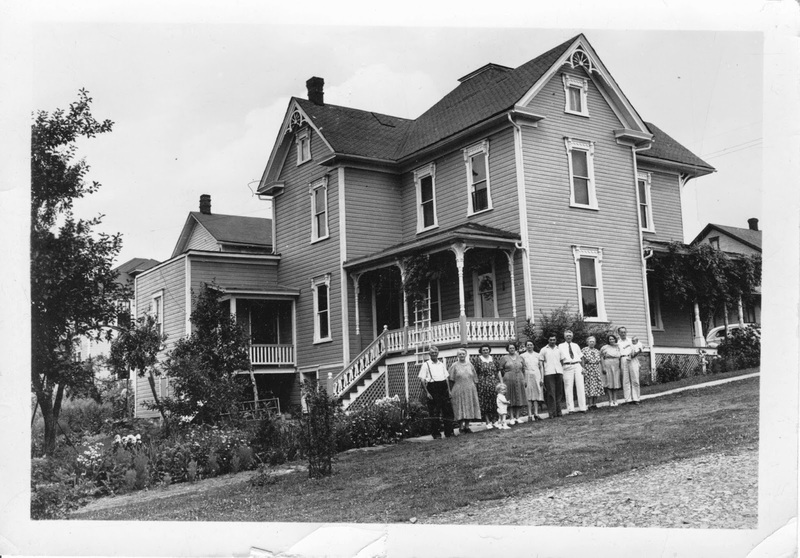 Still Digging for Roots: Do you know the Sharp family of Cambria Co, PA? Do you know the Sharp family of Cambria Co, PA? I work at a used bookstore in Cary, NC. The two photographs below were found in a used book on our shelves. I would love to find the family of these people. I don't know if they are related to each other, but I suspect that they are from the same roll of film. There's no writing on either one of them, but one has the number 25 stamped on the back and the other is stamped 26. It was pretty easy to track down whose grave this is. It has been entered on Find a Grave. 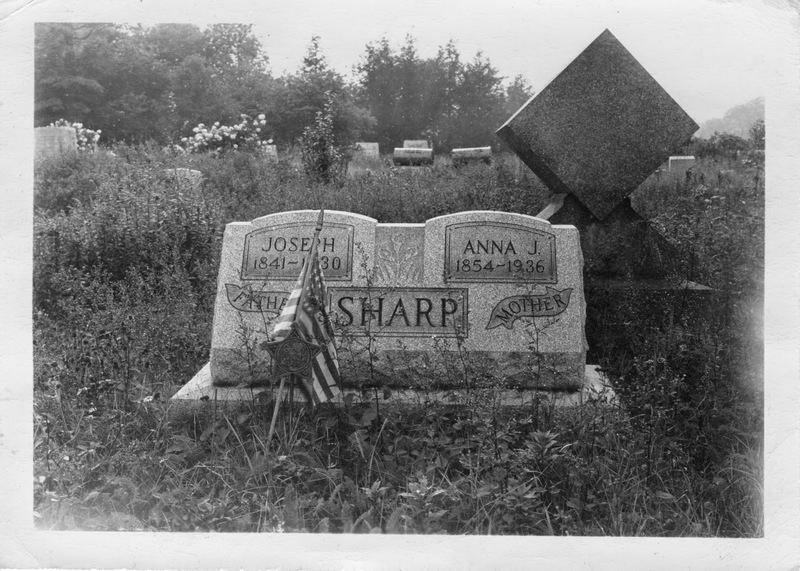 I contacted the man who created the memorials for Joseph and Anna Sharp, but unfortunately, he's not a relative and hasn't researched the family. After I scanned the photos, I went ahead and uploaded the gravestone photo to both of the memorials, making it clear that I did not take these photographs and mentioned that I'm hoping to get the photos to people who will appreciate them! It's hard to tell if this photograph was accidentally taken at an angle or if the house sits on a hill. If it was taken in Cambria County, PA, where the Sharps are buried, then I'd guess that it's on a slope. What do you think? Do those clothes look like the 40s to you? Please contact me if you think you know who these people are! I have also just heard from a woman named Kelly Kendig who says they are her g-grandparents, also. Does she know Kelly? I never imagined I'd find more than one relative so quickly. I hope you'll have your friend contact me. There are a lot of women on Facebook with the name "Amy Sharp"!